Sabah Hakka silky Yong Tau Fu and Yong Tau Pok is a favourite hit for many among Hakka ourselve and others. 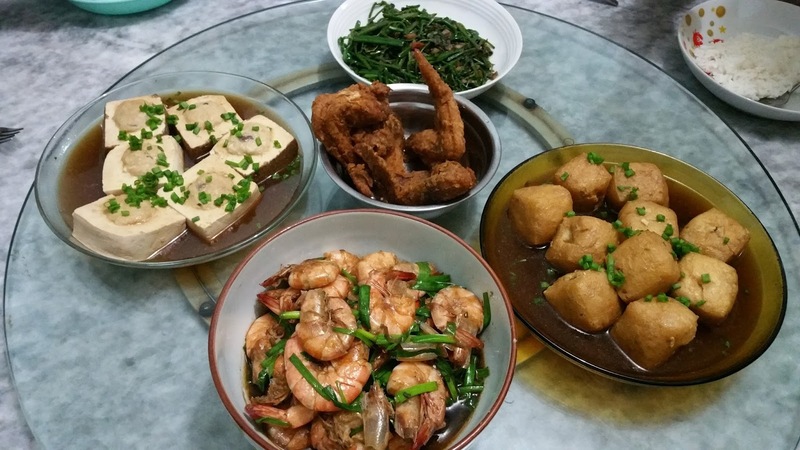 This is always Hakka family favourite dishes. 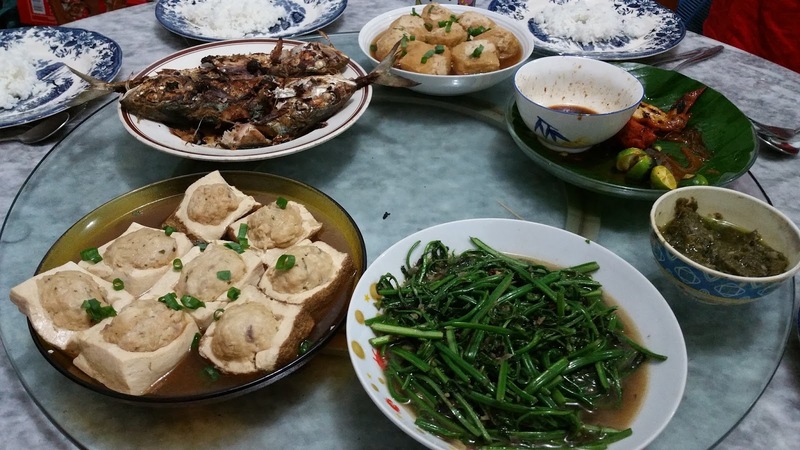 Back on those days, these dishes were cooked and served only on special occasion or CNY festival. Today, this has no longer apply, yong tau fu has popularize with a high demand, so its easily found serving for breakfast or dinner at most kopitiam or restaurant all year round. 2. 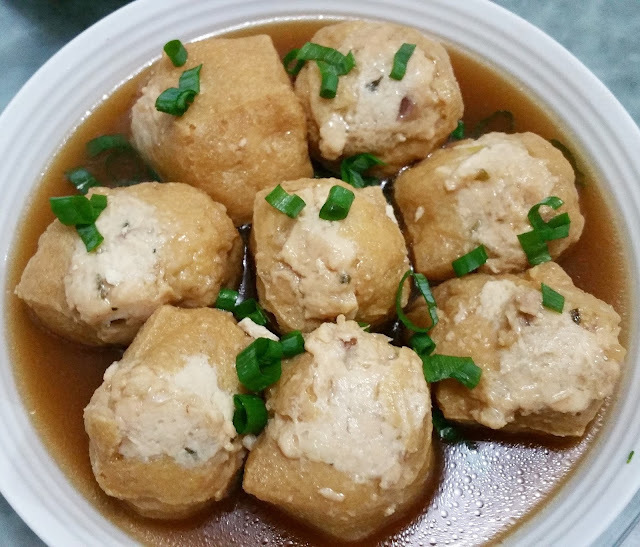 Clean tau fu, Use teaspoon remove a portion at the center tau fu, Be very gentle to keep the pouch intact. Scoop filling and stuff in to the middle as much as you it could fit in. Shape the stuffing with finger tips. Repeat this to the rest of the tofu. As for the tau pok, just gently poke a hole in the middle, do the same stuffing till finish. 3. 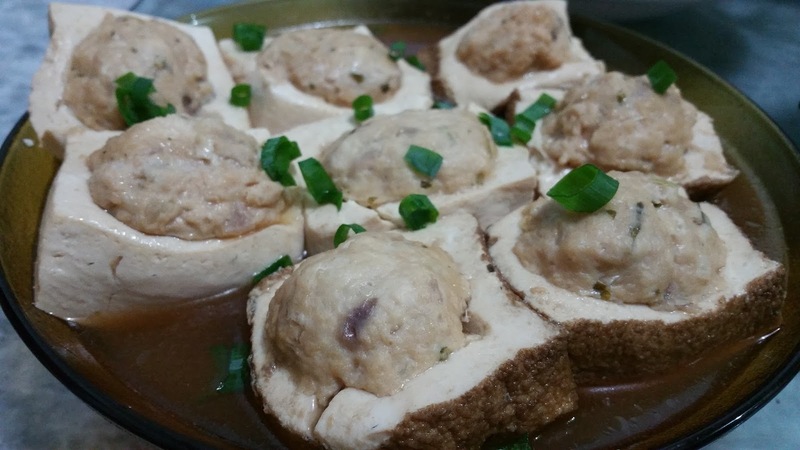 In a soup pan, place tau pok below follow with white and brown tau fu, arrange closely next to each other. 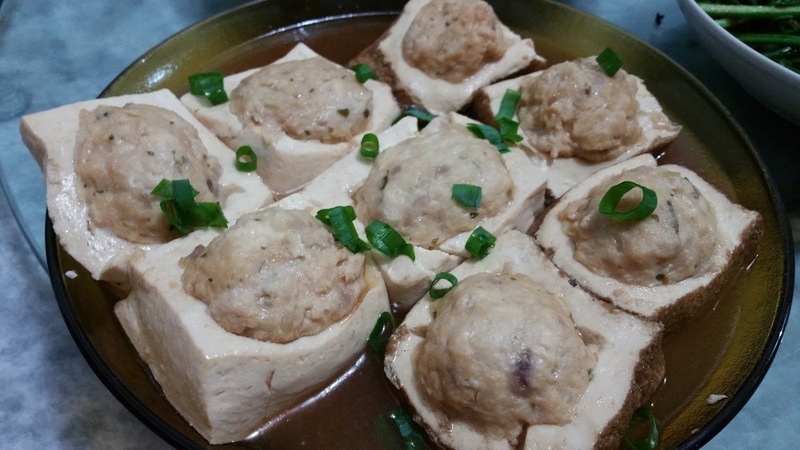 In a bowl, add in sauce and mix water, pour over tau fu. Cook with medium fire slowly until cooked through.